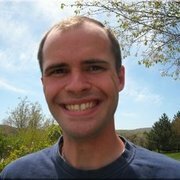 I recently started looking into Family History - what it entails, how to do it, etc. It became very exciting, especially searching through records, because it feels like a challenge / a puzzle. 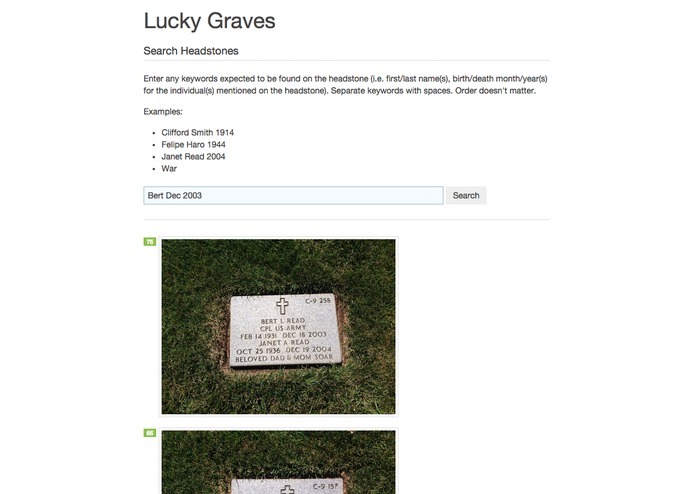 While learning various aspects of Family History research, I came across billiongraves.com and gained some satisfaction in transcribing some headstones from time-to-time - knowing that it helps others find their ancestors. I saw how many headstones were not transcribed and wondered if computer vision could help (especially since the text on a headstone is typed, as opposed to handwritten documents). After searching online for any attempts to transcribe headstones using computer vision, I found just one. The approach attempted to transcribe it as precisely as possible. I wondered how we might offload some of the actual validation/verification of text from software over to humans. That's when it occurred to me that, if we can just surface the few images that are most likely relevant to the person searching, then that person can verify which one is actually the headstone of interest. So, clearly, the target user is someone searching through records/headstones for additional information. The benefit this provides is that searches can now include some "not-yet-human-transcribed" headstone images. And I think that is pretty exciting!